What does a conversation about 1980’s pop music sound like without mentioning Prince? Some music critics still consider him to be the most prolific artist of that decade. A lot of the staple acts in the 80s’s (i.e. Cyndie Lauper, Melissa Morgan, and Chaka Khan) profited from covering the hit songs of his music library. Prince went on to curate a number of music groups and support their songwriting (i.e. Vanity 6, Sheila E., and Apollonia 6). These groups were the anchors of the “Minneapolis sound”, known to be unconventional in comparison to everything you are probably familiar with. A large portion of that sound is due to the technical side that often lives in the shadow of everything else. Audio mixing is a vital part in the music making process and far too intricate to be glamorous. Audio mixing consists of taking multi-track recordings (i.e instruments and vocals) then molding them into the final stereo, mono or surround sound product. Sound engineers are responsible for the product’s overall quality and outcome. During the evolution of the music industry, there has always been less than a few womxn working in the audio & tech field. Though there has been a huge increase over the years, the percentage is still quite small. 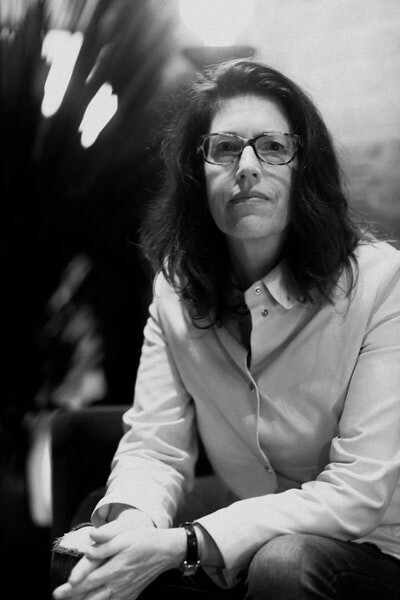 In this Herstory, we focus on Susan Rogers, a Prince fan who became the sound engineer for some of his most influential works throughout the 1980s. “The Beatles is the greatest thing to happen in music history”. Who hasn’t had this dish served to them before? I’m not much of a gambler but I can guarantee that the chances are quite slim. In the 1960’s, The Beatles had the world at their feet. When their commercial success crossed over to the U.S., the media coined the term “The British Invasion” following their record-breaking sales. A young Susan Rogers was a child living in Orange County, California. She saw everyone around her run at the speed of thirst towards The Beatles, knowing what she loved was moving in the opposite direction. What sweet loneliness to hide not truly belonging, but feel like the music you love belongs to you and only you. As you can imagine, owning an imagination can sometimes come at a hefty cost. From childhood, Susan wanted nothing more than to journey into the world of record making. Due to her working-class background, her family couldn’t afford to put her through college prompting a re-evaluate of her path. With the help of a close friend who studied at the University Of Sound Arts, Susan had a place to stay and landed a job as a receptionist. She’d overheard one of the instructors advise a student that the path to the music business, came in the form of maintenance technician work. Susan took it upon herself to purchase every book needed to equip her with the skills to qualify for the job. Months later, she landed her first job at Audio Industries Corporation as a service technician trainee where she learned the ins and out of electronics, studio installation, and recording techniques. Three years later, she was hired full time to work at Crosby and Nash Records. A record Susan owned as a child which was released under Crosby & Nash Records. Susan was satisfied with her position at Crosby & Nash, but dreamed of a bigger opportunity. Little did she know, her dream was lurking around the corner. An ex-boyfriend who was staff at West Lake Audio heard from his boss, that Prince needed an experienced technician either from L.A. or New York. Nobody at West Lake liked the idea of working for Prince because they heard he was a freak. And why leave sunny California for the frigidity of Minneapolis? Even though they had parted ways, Susan’s ex-boyfriend called and told her about the position. She got the job then packed her bags and left everyone she’d ever known. As if being a floor’s length away from one of your favorite artists wasn’t thrilling enough. After officially meeting Prince and preparing his studio for a session, Susan was surprised when Prince told her that she would serve as his recording engineer instead of the technical position she was hired for. She never saw herself as one of similar artistic ability as other engineers in the field, but her deep knowledge of the technical side gave her an edge that Prince was instantly attracted to. Susan learned Prince’s sound by learning what he valued. Prince cared solely about what he wanted his fans to feel not hear. That would determine how a song was mixed. Prince was never praised for the sound quality of his music because it was far from clean cut. Instead it was a deeply flawed display of his extraordinary musical abilities, which in turn made his sound more unique. To witness true magic requires sacrifice. Susan put five years of her life aside to work with Prince on Purple Rain (1983), Around The World In A Day(1985), Parade (1986), and Sign O The Times (1987) as well as an abundance of unreleased material hidden in the vault. Some of these works have reached the peak of Prince’s discography. After her departure from working with Prince, Susan went on to engineer for the likes of Jesse Johnson (lead guitarist from The Time), David Burns, Gege Star, and The Jacksons. She produced a number of alternative rock artists and scored big with The Bare Naked Ladies. She used her accumulated income to eventually quit the music industry and instead pursued a Ph.D in Cognitive Psychology and Behavioral Neural Science. Susan is currently a professor at Berklee College Of Music, teaching analog recording techniques and Music Cognition. When asked in an interview: “What is the biggest thing you learned from Prince?”, Susan named “Courage”. And perhaps she had it all along. Maybe Prince provided her the space to keep her courage in constant practice.